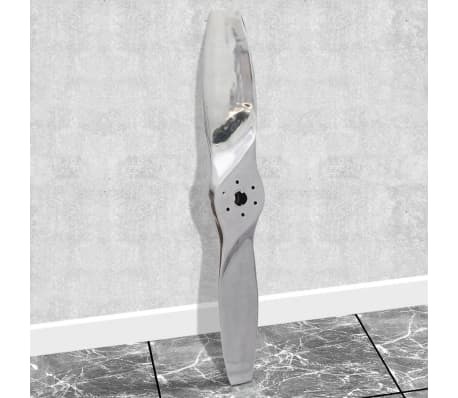 Decorative Aluminum Wall Mounted Aircraft Propeller Silver 46.1"
Adding this aluminum aircraft propeller to your decor will make a bold statement! You can hang it over the mantle or lean it against the wall in a corner. 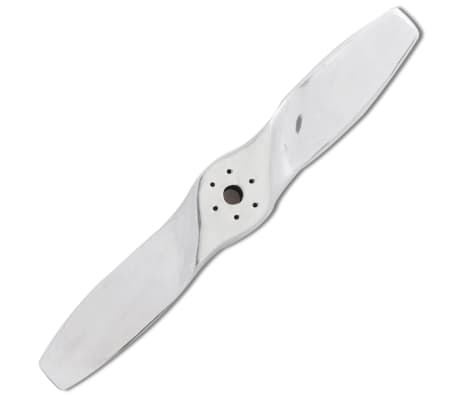 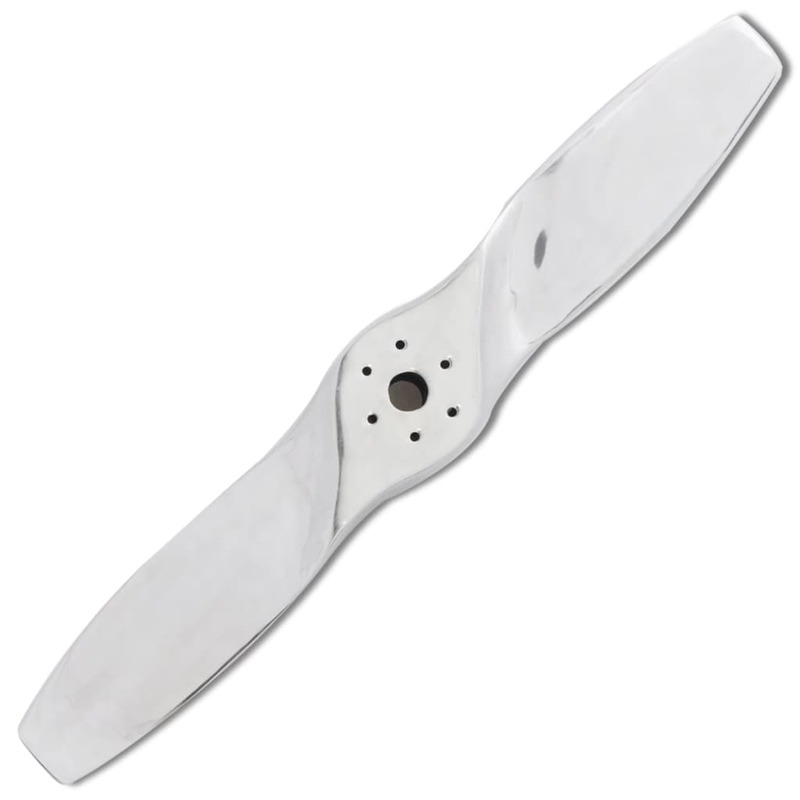 Made of high-quality aluminum with a polished finish, this propeller boasts a sturdy structure. It is quite large, with a length of 46.1". 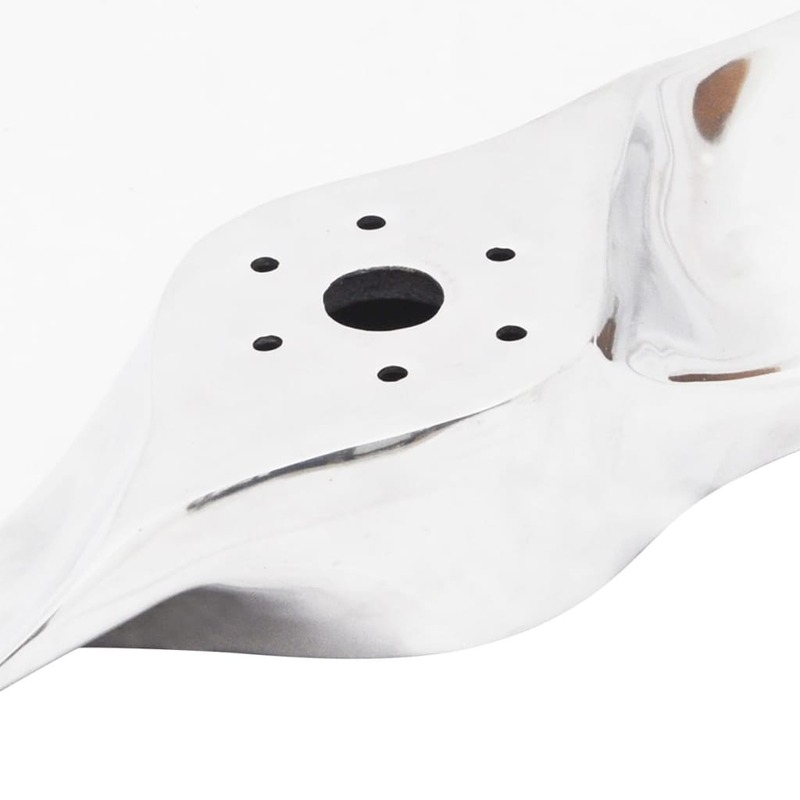 Turn your empty wall into a feature with this expertly crafted decoration piece. 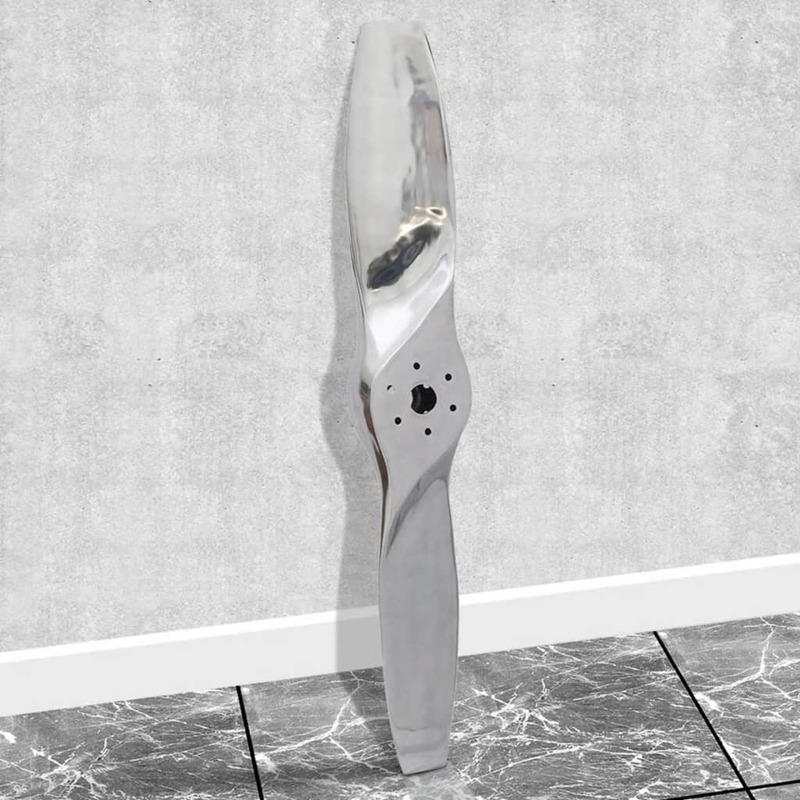 Thanks to the included screws, the propeller can be easily mounted.